This was a tough choice because there have so many legendary tag teams through the years in wrestling. Names like the Midnight Express, Rock N Roll Express, Steiner Brothers, and various others populate a very deep and proud past for tag team wrestling. However, I think one team echoes the success and is part of the reason a match against The Steiner's was such a dream match. Since 1996, the Dudley Boys have been a prominent force in the world of wrestling from their ascension up the ranks in ECW to WWE to TNA always becoming Main Event stars. ​The team would fight and defeat every top tag team in Extreme Championship Wrestling having classic matches with the Eliminators, The Gangstas, RVD & Sabu, and a few others I might've missed. It is matches with these guys that ended up getting them on the WWE's radar and signed by the company in the summer of 1999 and this is where the team would become not just mainstream stars, but enter into status of legends. The reason for that is Tables, Ladders, and Chairs and their legendary two year long feud with the Hardy's and Edge/Christian. For six years the Dudley's would be a staple of the WWE's tag team division before heading south to TNA Wrestling in 2005 becoming one of the first teams to actually jump ship together. While in TNA it would more of the same for Bubba & Devon as they would lead the TNA tag team division on and off for almost a decade capturing the TNA, NWA, and IWGP Tag Team titles while under contract to the company. It was also in TNA that Bubba would capture the TNA World Title on two occasions under his alter ego Bully Ray which shocked a lot of people the success he had in singles competition. The Dudley's would return to the WWE the night after Summerslam in 2015 for one last run with the WWE leaving the company a year later. Now Devon is semi retired and Bubba still competes occasionally in Ring of Honor, but they are members of the WWE Hall of Fame Class of 2018. I also want to officially welcome them into the Wrestling Express Hall of Fame Class of 2019. Oh My Brotha Testify!!!!! There is no doubt that the Mad Max is the one movie that has influenced the wrestling more than any other movie and to see it you have to look no further than the Road Warriors. In 1983, Georgia Championship Wrestling booker Ole Anderson came up with the idea to pair then fledgling talent Animal with incoming Michael Hegstrand and the rest as they say is history. Originally the legendary team was a group known as the Legion of Doom led by Paul Ellering the group also included Jake Roberts, and Don "The Spoiler" Jardine. During the 1980's wrestling experienced a golden age within the ranks of tag team wrestling and in a way the Road Warriors would be leading the charge as they became a top team in every company they were apart of from the AWA to All Japan to GCW to Jim Crockett and others. They really began to become major stars in the states when they arrived in the company later to be known as WCW. Within weeks of their arrival in JCP they would become the first ever Jim Crockett Sr. Memorial Cup champions and the following year would see them a part of the first ever War Games match with Dusty Rhodes & Nikita Koloff against the Horsemen. 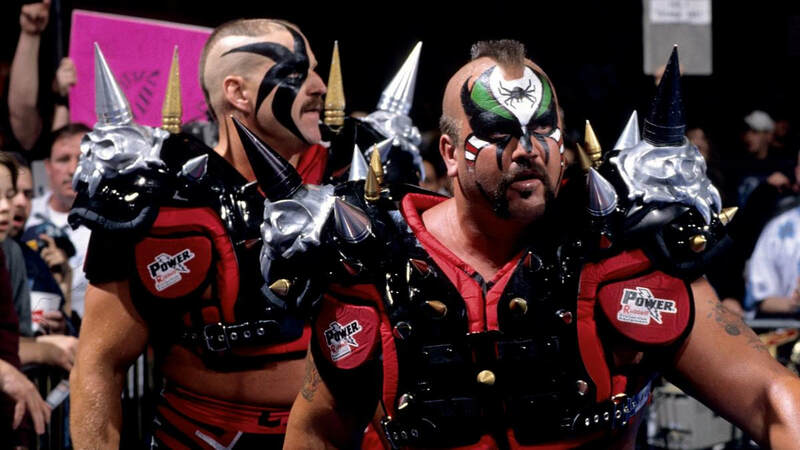 ​Though in many ways the Road Warrior did have a shelf life for how long they could stay in one place due to both their gimmick and the fact that after a while they couldn't turn heel. I mean the term "Road Warrior" pop didn't happen just after they retired it was something that was happening during their careers too. I can't think of any other team in wrestling history that has won tag team gold in every territory they have ever been in including the AWA, WCW, Mid-Atlantic, WWF, AJPW, and many others. During their career a lot of stories point to Paul not just being a mentor to both Animal and Hawk but also the business manager for the team during their entire career. The Attitude Era didn't just bring changes to the perception of pro-wrestling, but also in many cases saw the end of the Road Warriors style of wrestling due to idea that they had to dominate and never really sold. ​Overall I don't think there is a better first tag team to induct into the Hall of Fame as both Animal and Hawk became legends not because there singles career, but because of all they did in tag team wrestling. In many ways it was the Road Warriors that paved the way for teams like the Dudley's to have such a legendary career in tag team wrestling. Without the Legion of Doom... Without the Road Warriors.... Without whatever you want to call them either way it is hard to understand what wrestling what would be like had Eddie Sharky never trained them and if they would've remained at that bar in Minnesota. 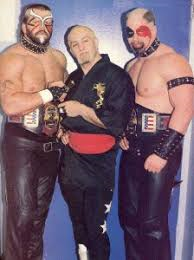 I would like to welcome Hawk & Animal the Road Warriors into the Wrestling Express Hall of Fame.